The debate over the boundaries and definitions of what can be considered ‘art’ has been raging without conclusion for literally hundreds of years, and in today’s technological climate it’s easier than ever for so-called artists and musicians to make noise that is to them alone considered music. One such culprit in this crime against true artistic expression has been the birth of a slew of genres focused primarily if not solely on the idea of finding sounds throughout our world and combining them in some allegedly planned-out amalgamation combined with screaming or chanting some semblance of vocal trash over the top. I’m not claiming that these genres are completely devoid of interesting or even creative gems as I firmly believe that any style of music will be riddled with at least a few luminaries that set a relatively un-touched standard of true artistic greatness. Sadly, however, this is not the norm. I’ve recently come across an album by an artist named James Ferraro that has left me simply stunned for almost all the wrong reasons. 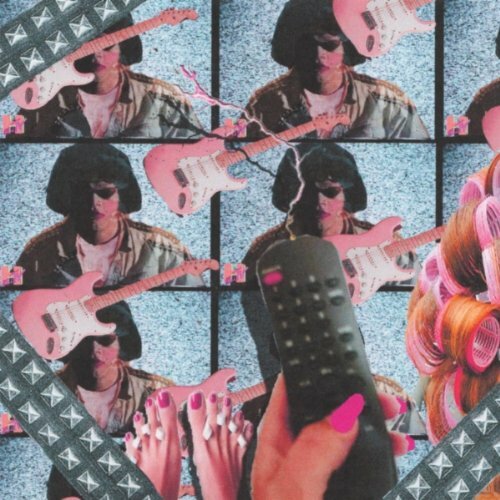 His most recent release entitled, Night Dolls With Hairspray is a painfully lo-fi, endlessly frenetic example of what I consider to be seriously unfulfilled potential. It’s clear that Ferraro has an ear for catchy melodies and rhythms and “Buffy Honkerburg’s Answering Machine” is one place where those favorable traits break through the overlying rubbish, however the sonic quality of the album as a whole leaves much to be desired. Furthermore the musicality on this release is embarrassing. With the sheer power of today’s digital editing platforms, there is no excuse for edits that even in the days of analog editing would have stood out as the worst of the worst. Rarely on this album does a song end with anything more than a simple cut-off at a seemingly random point and time after time the listener can hear how poor placement of samples noticeably interrupts the flow and groove of otherwise decent tracks. With most music I am able to find at least one thing I can appreciate, however this album proved to be an enormous and ultimately unfulfilled challenge.